White supremacists at the Daily Stormer quickly published a story suggesting weekly pizza parties are the best way to celebrate solidarity during the NFL boycott. “These ain’t the kind of pizza parties you read about in Wikileaks,” wrote Weev, Daily Stormer’s Chief Techinical Officer. In the same long and rambling story, barely stitched together like some febrile dream, the racist publication also claimed that Papa John ultimately pledged his undying support for White Brotherhood in exchange for access to key ingredients once thought unobtainable. Although kept secret, analysts suggest they are probably the same active ingredients found in Brain Force Plus and Super Male Vitality. 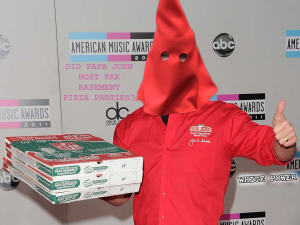 The story featured an obvious photoshop of Papa John donning a crimson Imperial Wizard hood to match his trademarked pizza delivery uniform. 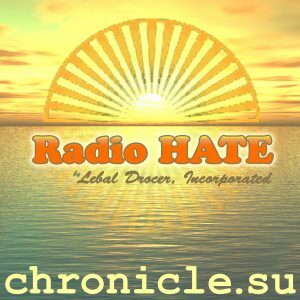 JUST LEAVE WEEV ME THE HELL ALONE FAGGOTS!!! !